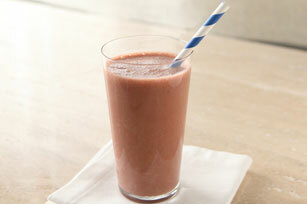 Add a chocolatey touch to this Greek yogurt smoothie with some cocoa powder. This Cherry Blackberry-Greek Yogurt Smoothie is a Healthy Living recipe. Blend ingredients in blender on high speed until smooth. Start off your day with one of these easy-to-make smoothies. Or, enjoy one as an afternoon snack.